No, my kids don’t get snow days off. 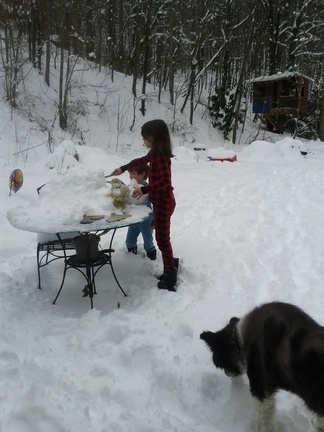 We still plop ourselves in front of the wood stove and get our school work done. But THEN, we get to make maple taffy! It’s an experiment, right??? 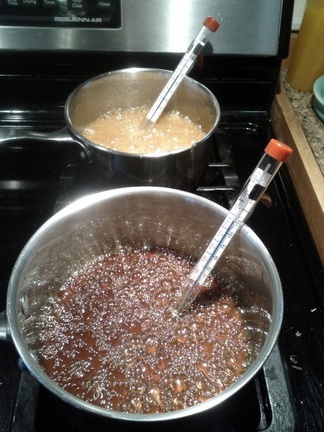 First you heat your maple syrup to 250 degrees (the “soft ball” stage – hehehe). 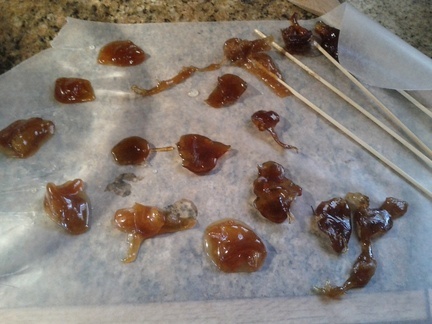 We also put a small pot of honey on the stove to make some honey taffy. 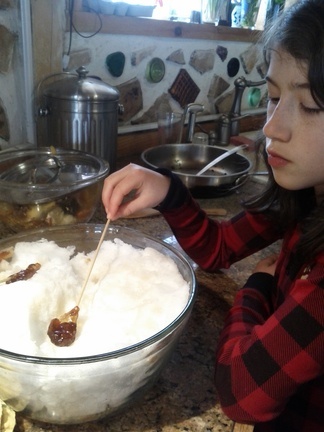 When your syrup reaches 250, turn off the heat and have the kids head out in their long johns and fill up a bowl of snow…. pack it down firmly. 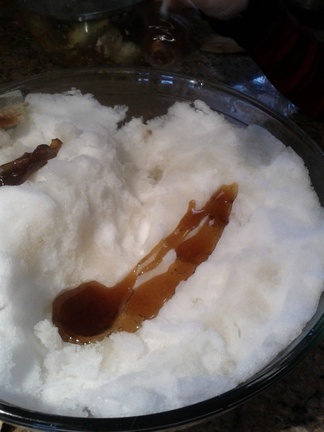 Drizzle the syrup into the snow. Roll it up onto a skewer. tap it in the snow a bit to be sure it’s cooled off and EAT IT! YUM! We got tired of rolling them up and just made plops in the snow. We all liked the maple syrup flavor better. I know, I know! 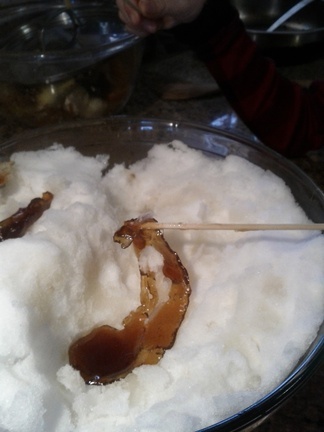 You don’t have to tell me that making pure sugar candies when the kids are snowed in isn’t the smartest of ideas. I just couldn’t help myself. It looked like such a fun and yummy experiment. Now, I just have to shove the kids into their winter clothes and toss them outside to play!! This entry was posted in Home Schooling. You had me at maple…or taffy…or…yum…just yum…..